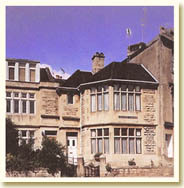 Cornerways is situated at 47 Crescent Gardens, at the junction of Charlotte Street and Upper Bristol Road. ( Crescent Gardens runs along the latter, from the bottom of Marlborough Lane to Charlotte Street.) Our postcode is BA1 2NB. 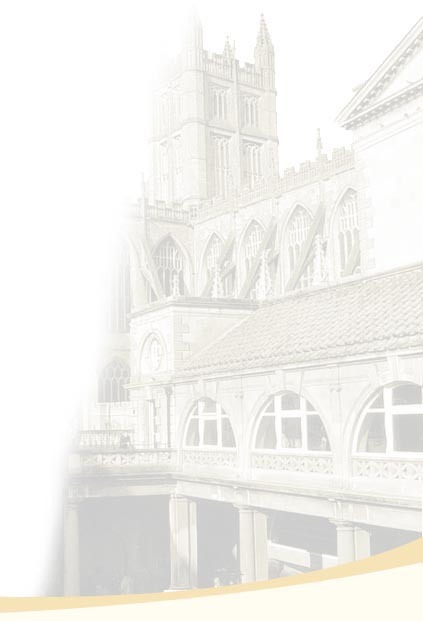 Bath Spa train station and the nearby bus and coach station are a 15 - 20 minute walk away, but only five minutes by taxi. As there is often a lengthy queue, it is advisable to book your cab from the train (Abbey Taxis, on 01225 444444. Be sure to clarify the pick-up point, usually opposite the station.) Please ask for '47 Crescent Gardens', mentioning that it is on the corner of Charlotte Street. Take Junction 18 off the motorway, and follow the signs for 'Bath A4'. When in the city centre, aim for Queen Square. Proceed along three sides of the square and exit down Charlotte Street** taking a right as if to enter the main car park. Do not drive into the car park, but keep to the back lane on the left, which runs behind Crescent Gardens. You will find number 47 about six or seven houses down on the left, with pale green gates, opposite an opening into the car park. Look out for our neighbour's tarmac parking area, marked with yellow lines, and keep to the left of this, next to the metal railings. Please park as close to the gates as possible (that means really close!) if the parking area is empty, to allow others to park behind you. If you call the house number (01225 422382) on arrival, one of us will come out to meet you. Follow the signs for 'Bath A4'. Turn left when the sign indicates ' Bath City' and drive straight ahead down Newbridge Road and into Upper Bristol Road, passing a children's playground in Victoria Park on your left. Continue straight ahead until you reach the junction with Charlotte Street and Monmouth Street, going left into Charlotte Street. Follow the directions indicated from the ** notation in the text above.